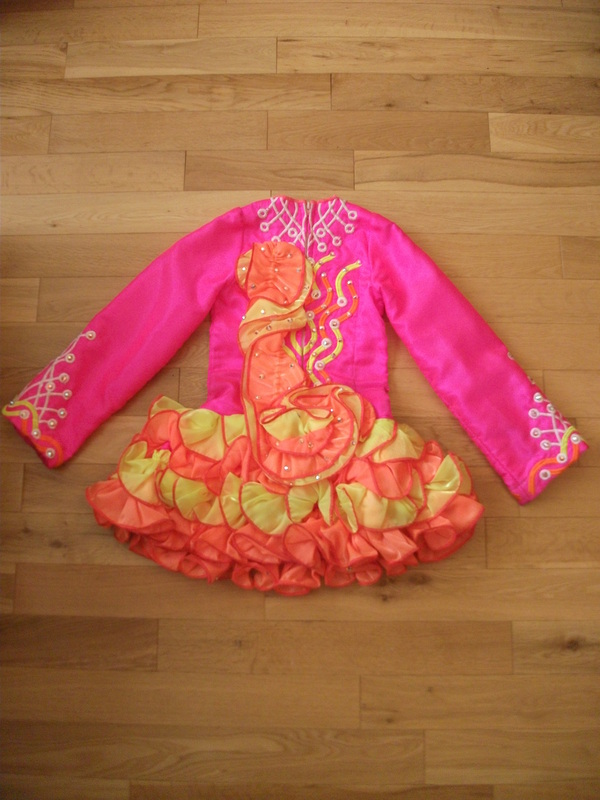 Stunning pink, orange and yellow Gavin Doherty Dress with a hot pink bodice and a silk multi layered dropped skirt that you can add or take away a ruffle. 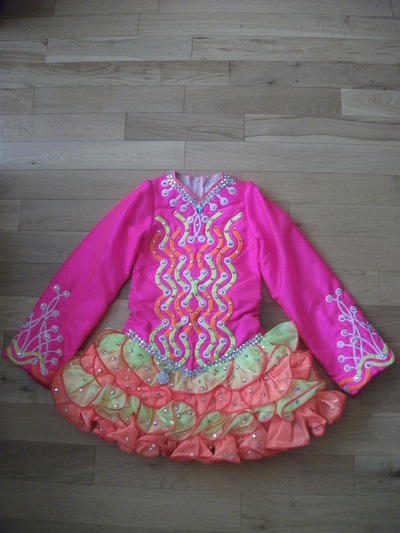 The dress comes with unique ruffled shawl, which matches the skirt. 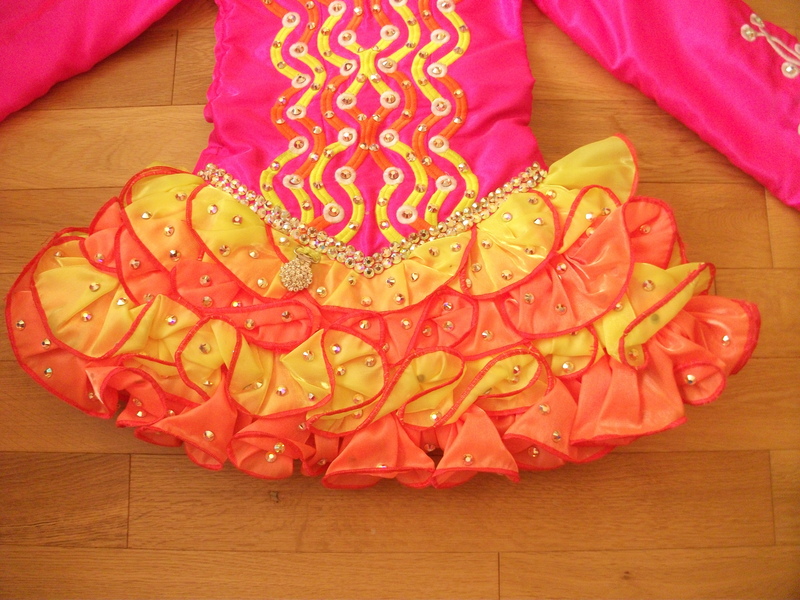 The dress is covered in over 700 Swarovski crystals, which looks fantastic on the stage and adds a little extra sparkle. 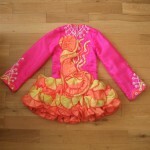 The dress is in excellent condition and very modern. It comes complete with a matching diamante headband and hot pink kick pants. 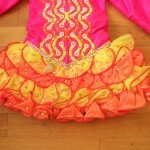 The costume looks elegant on stage and is very comfortable to dance in.